Backed by small sand dunes, this is a great beach for everyone to enjoy. Even at high tide plenty of sand remains and there is ample room for everyone to enjoy the beach. It also provides plenty picnic spots, although a wind break may be useful on slightly windier days. Just a short and level stroll from the golden sands you’ll find an Italian restaurant, pub with beer garden and an ice cream van ready to serve something sweet. 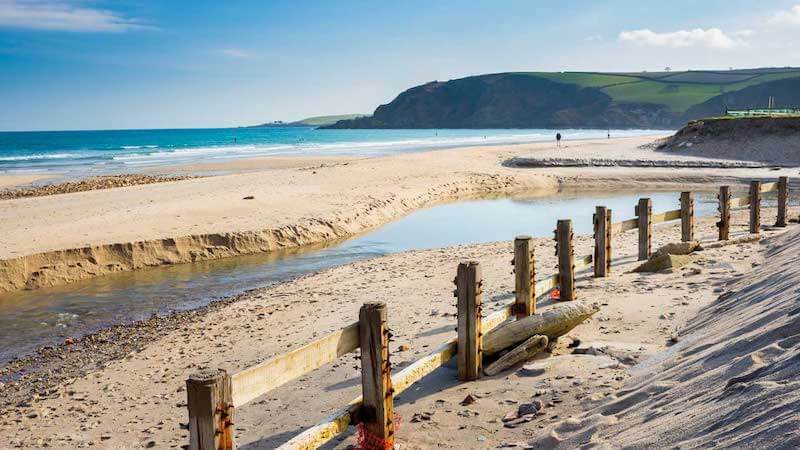 There is plenty of Cornwall Council chargeable parking and dogs are welcome all year round. The beach even features a special Information Station created by students at Carclaze School, which encourages people to look after the environment. It comes complete with its own litter bin, free dog poo bags and a basket for people to leave balls and toys for dogs and their owners to re-use and recycle. Wheelchair access may be difficult due to the deep, soft sand.